Chance Kilgour has an infectious enthusiasm and buoyant personality that he brings to his approach to improv. Get to know him and catch him at a future Hot Mic! show. When I first moved to Cincinnati three years ago all of my anxieties resurfaced with an aggressive verve, and I had developed survival tactics that were serving my anxious thoughts rather than quieting them. 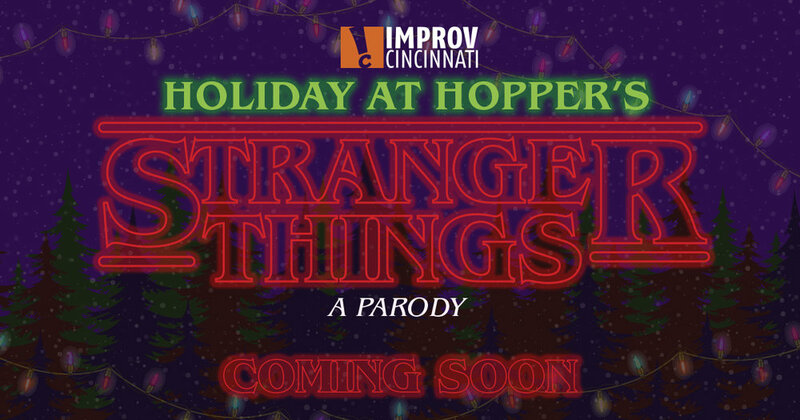 That discovery is what led me to my first Improv Cincy workshop. While it is quite ambitious to come up with 90 minutes of a continuous story, with actual songs (yes, singing and live music) on-the-spot, it’s nothing that a group of dedicated improv performers can’t handle! These are the top four questions we get asked about Hot Mic!, and our answers. True Theatre, one of Cincinnati's most iconic storytelling shows, shares IC's philosophy and approach for creating captivating and emotionally resonant stories. Read what they think makes a good story. In celebration of Mother’s Day on May 13, 2018, we want to highlight and celebrate our improv students, performers, volunteers and friends in our tight-knit community who are also moms. Get to know Erica Bauman, house manager and level 2 student, who you often see volunteering with her daughter.